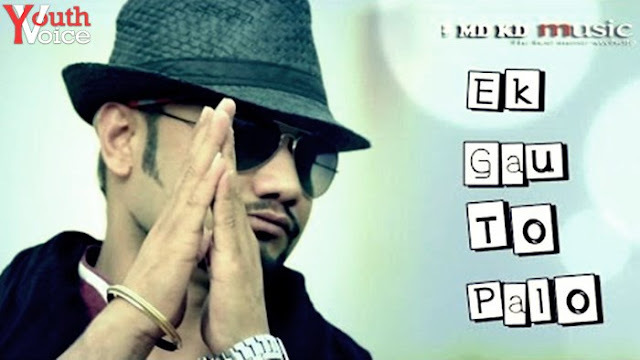 EK Gau to Palo - MD KD with Nariender Gulia and Nippu Nepewala (2016) Watch HD Haryanvi Song, Read Review, View Lyrics and Music Video Ratings. MD KD presents Official Video of most awaited song Ek Gau to Palo. A song dedicated to Gau Mata by MD KD. Click here for listening latest Haryanvi tracks. Brutally honest lyrics with strong message for Hindus to not just protect holy cows but also try to adopt at least one cow. Lyrics are perfectly written by KD. All four of them has given their best in vocals, only thing that is missing is the good video. or Different Audio Types: Digital Studio Wave, CD RIP FLAC and lossy media.